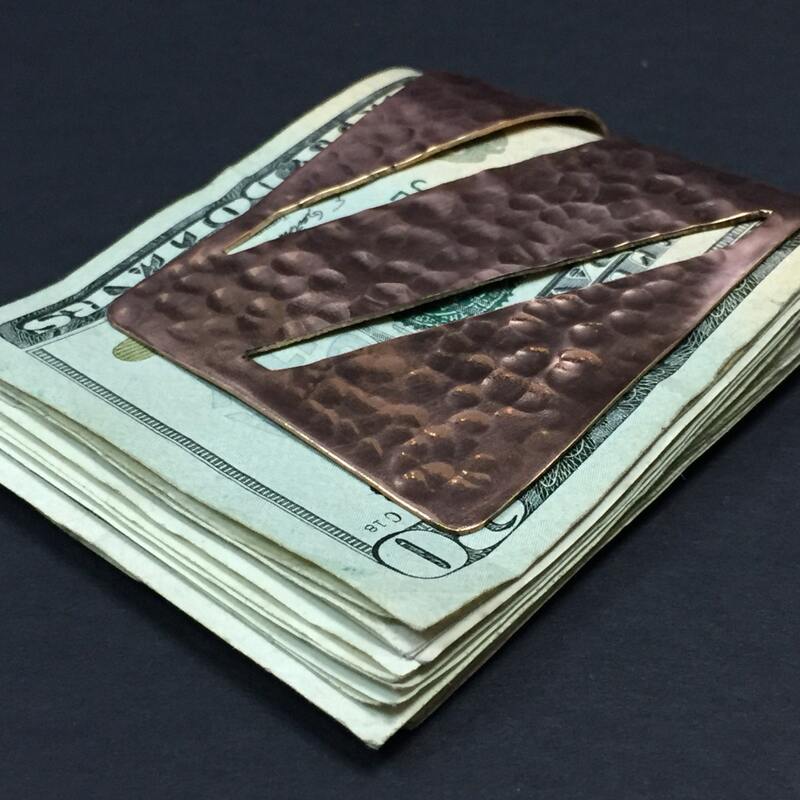 Pure hammered copper money clip with unique cutout design. 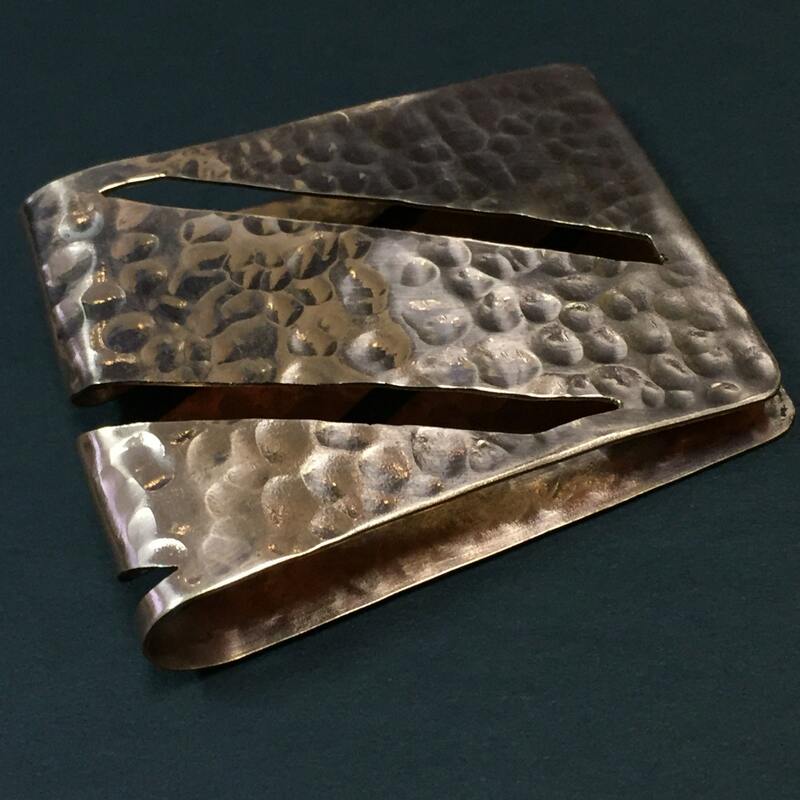 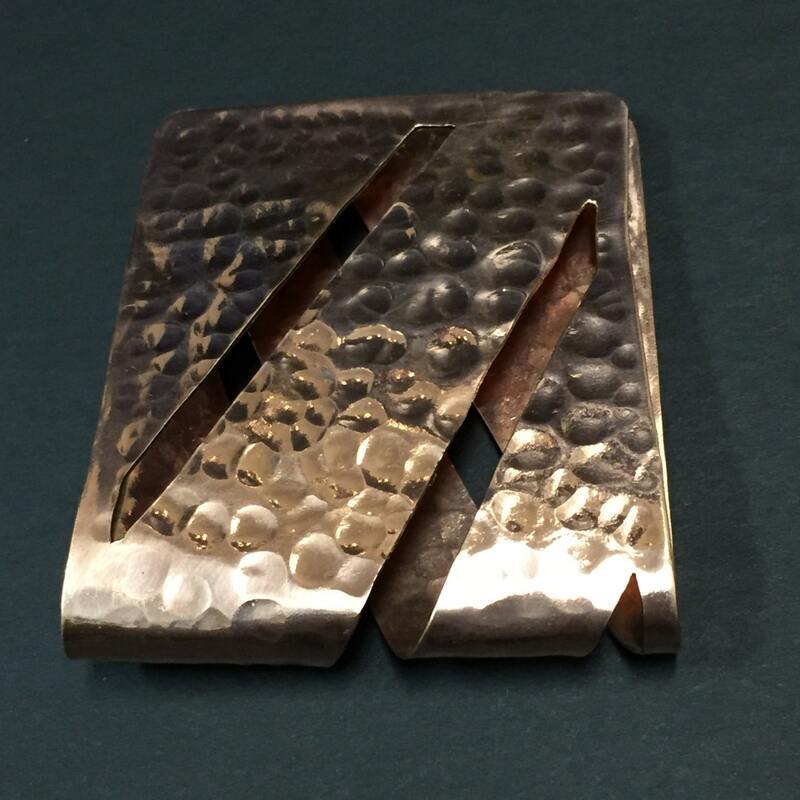 Each of our money clips are hand hammered into shape and each design is chisel cut out. 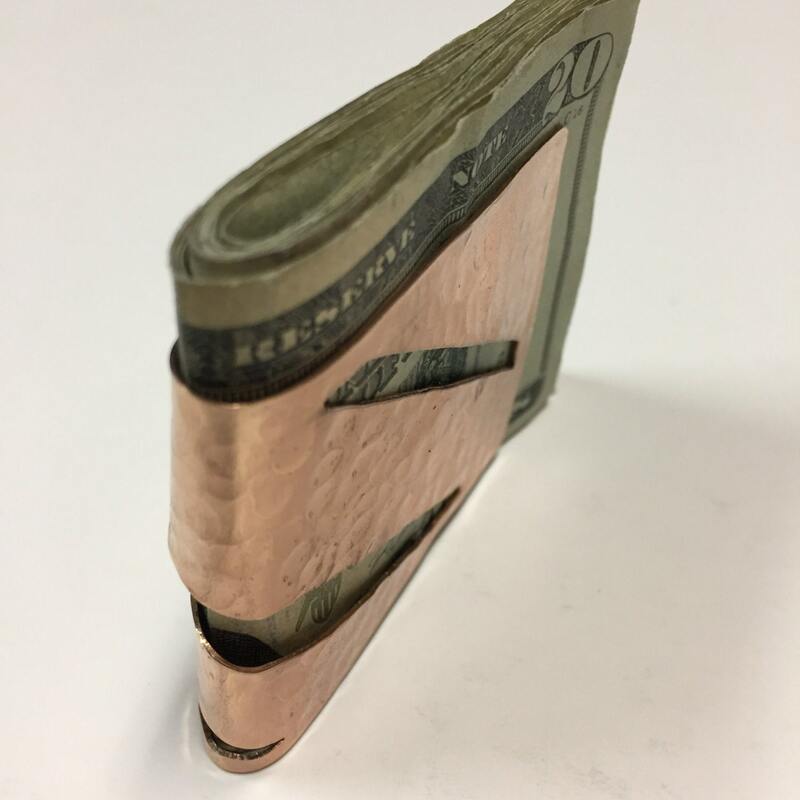 Our money clips are approximately 2" wide by 2 3/4" high. 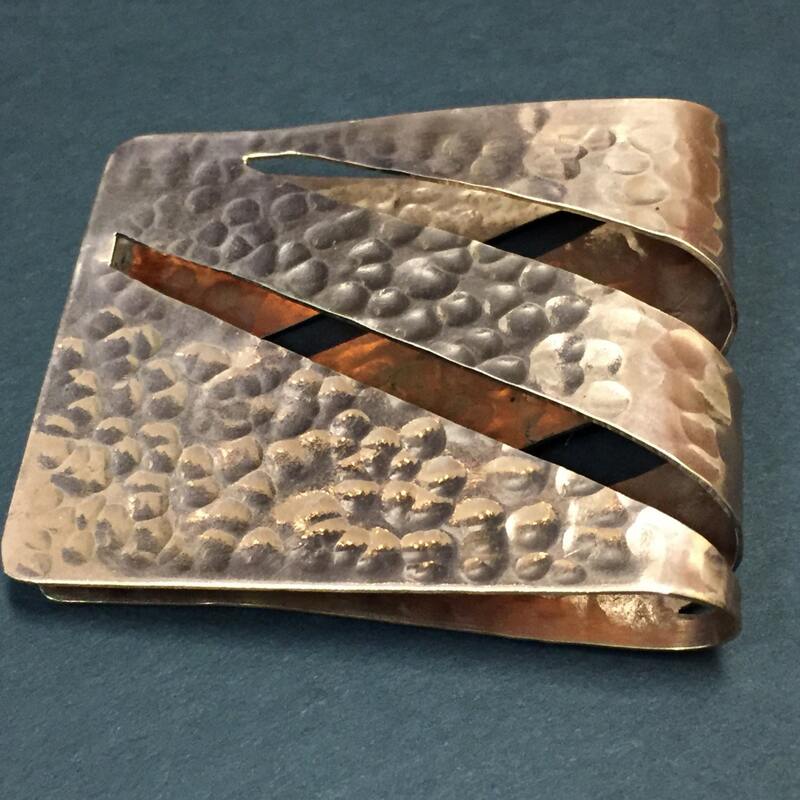 We use pure copper.